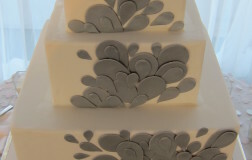 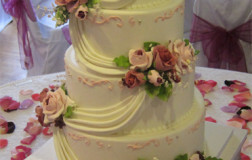 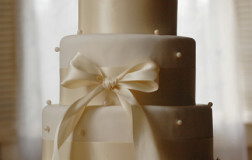 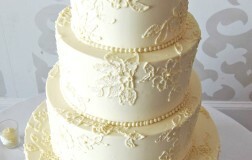 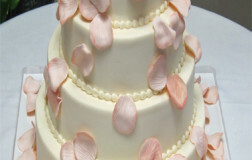 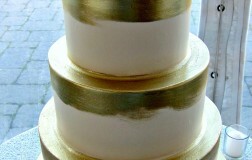 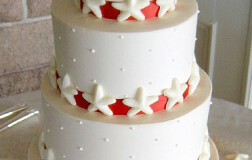 Five tier cake shown in vanilla butter cream finish. 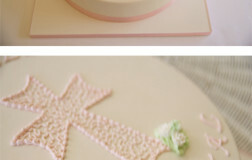 Round & square tier combinations. 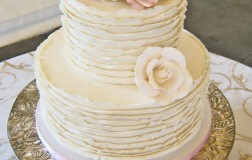 6-8-10″ round tiers stacked on a 12″ & 14″ square tiers. 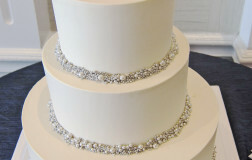 Rhinestone banding at the base of each tier. 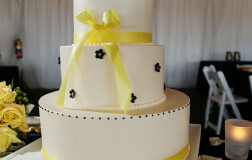 Monogram topper and brooch provided by the bride. 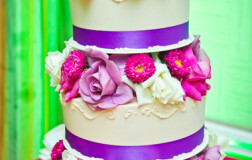 Flowers provided by the florist. 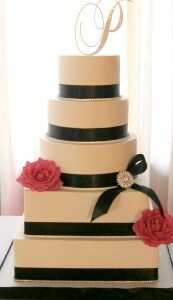 Simple and yet so elegant. 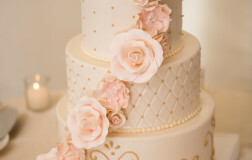 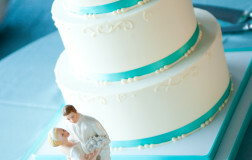 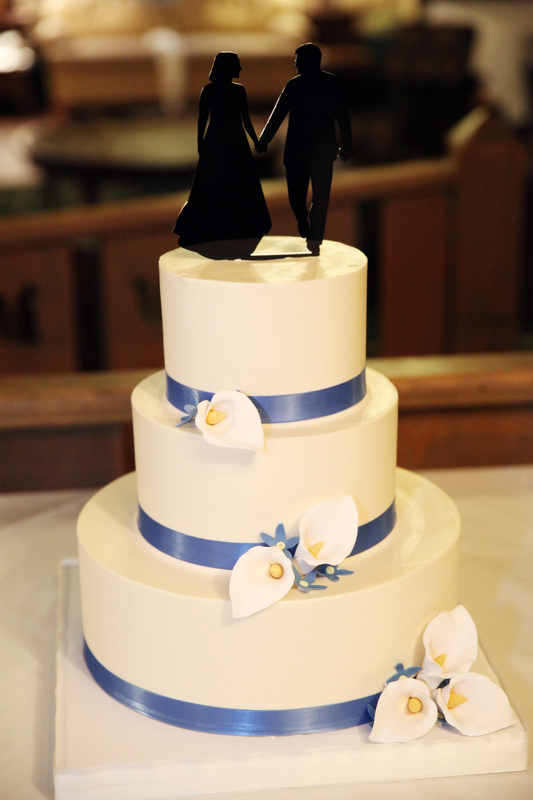 This cake was photographed by Options Photography. 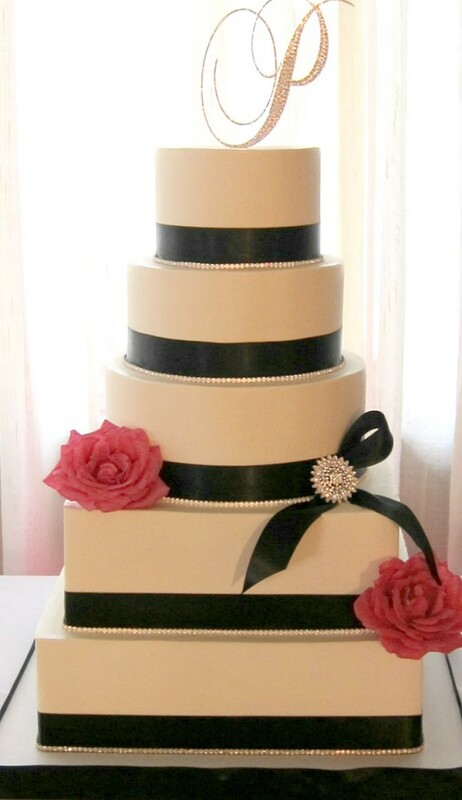 Such a charming cake. 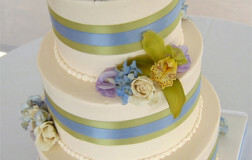 It is dainty with just the right amount of color. 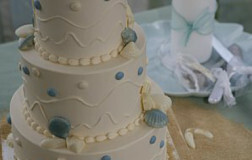 Notice how the linens add an additional element to the cake presentation at Castle Hill. 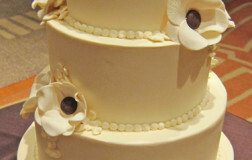 Alternating layers of creamy dark chocolate, milk chocolate, and white chocolate mousse. 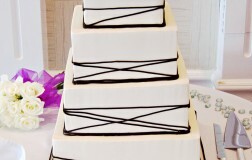 Torte is decorated with chocolate dipped ladyfingers and a dark chocolate disk. 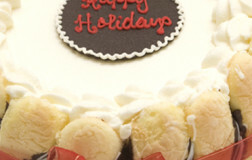 Serves 8-12 guests.